It can be hard to learn you have kidney cancer, especially if you did not have any signs or symptoms. Even if you had signs of kidney cancer, such as blood in your urine, fatigue, or weight loss, these are often caused by other, benign, diseases1 and you were probably not expecting this diagnosis. A diagnosis is the first step on your path to address your cancer. You might be surprised to find out how many other Americans are walking with you on the journey through kidney cancer. In 2019, the American Cancer Society estimates more than 73,000 people in this country will receive a kidney cancer diagnosis.2 So, you are not alone. After diagnosis, doctors are likely to do more tests to learn as much as they can about the cancer and your overall health before deciding on the next steps. There are many options available for care today, including chemotherapy, immunotherapy, systemic targeted therapies, local therapies that target the tumor directly, and radiation therapy. 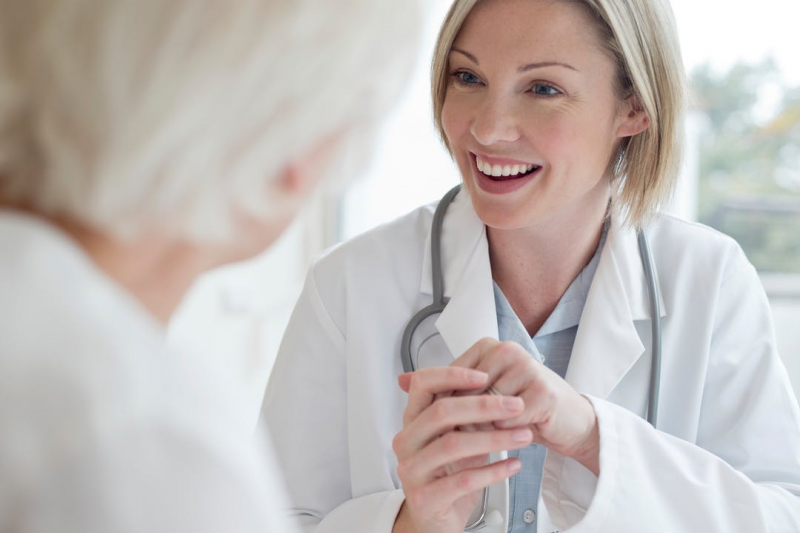 Your doctor may recommend a partial or radical nephrectomy, which is surgery to remove some (partial) or all (radical) of the affected kidney or kidneys. In radical nephrectomies for kidney cancer, surgeons also remove the adrenal gland that sits above your kidney, surrounding fat, and nearby lymph nodes, which will be tested to see if the cancer has spread. In a partial nephrectomy, also called “kidney-sparing” surgery, the surgeon removes the tumor while leaving as much healthy kidney tissue as possible. Surgeons can perform partial and radical nephrectomies through open surgery or a minimally invasive approach. Traditional open surgery requires a long incision in your side, abdomen, or back and may also require doctors to take out your lowest rib. During open surgery, the surgeon looks directly at the surgical area and removes part or all of the kidney using hand-held tools. 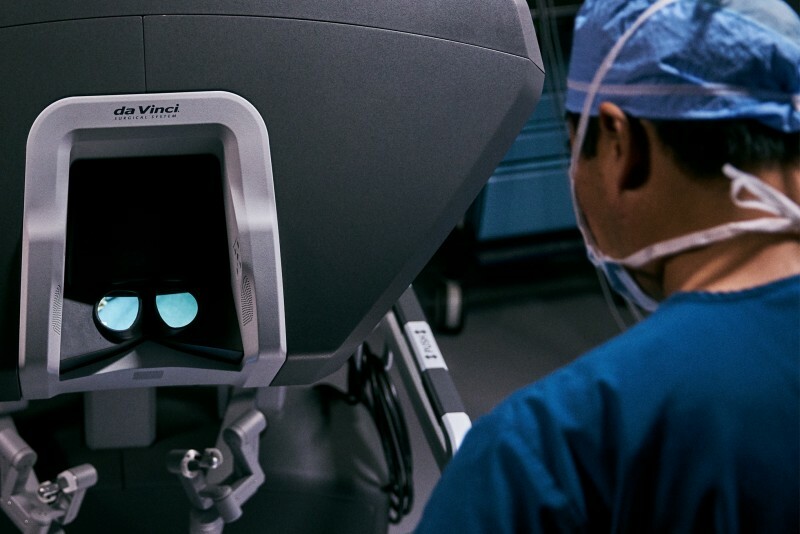 There are two minimally invasive approaches to radical and partial nephrectomies: laparoscopic surgery and robotic-assisted surgery, possibly with da Vinci technology. Surgeons perform minimally invasive laparoscopic or robotic-assisted surgeries through a few small incisions. To perform a laparoscopic nephrectomy, surgeons use special long-handled tools while viewing magnified images from the laparoscope (camera) on a video screen. Surgeons using da Vinci technology may be able to perform kidney surgery through a few small incisions (cuts). During surgery, your surgeon sits at a console next to you and operates using tiny instruments. The da Vinci system translates every hand movement your surgeon makes in real time to bend and rotate the instruments with precision. A camera provides a high-definition, 3D magnified view inside your body. Your surgeon may use Firefly® fluorescence imaging, which offers visualization beyond the human eye by activating injected dye to light up and clearly show the kidney structures and blood vessels. Firefly is commonly used to assess the blood flow to the kidney, which may help your surgeon during the procedure in a partial nephrectomy. Patients may experience fewer overall complications than patients who had open3,4 or laparoscopic5,6 surgery. Patients may stay in the hospital for a shorter amount of time than patients who had open surgery3,4,7,8,9 or shorter,3,9,10,11 or similar,4,12,13,14,15 time than patients who had laparoscopic surgery. Surgeons may be less likely,10,15 or with similar likelihood,4,12,18 to switch to an open procedure when performing surgery with da Vinci, compared to when performing laparoscopic surgery. All surgery involves risk. You can read more about associated risks of partial nephrectomy here. If I decide to have surgery, am I a candidate for a partial nephrectomy? Xia, L., X. Wang, T. Xu and T. J. Guzzo (2016). "Systematic Review and Meta-Analysis of Comparative Studies Reporting Perioperative Outcomes of Robot-Assisted Partial Nephrectomy versus Open Partial Nephrectomy. "J Endourol. Aboumarzouk, O. M. S., R. J.; Eyraud, R.; Haber, G. P.; Chlosta, P. L.; Somani, B. K.; Kaouk, J. H. (2012). Robotic Versus Laparoscopic Partial Nephrectomy: A Systematic Review and Meta-Analysis. European Urology. Khalifeh A, Autorino R, Hillyer S et al. Comparative Outcomes and Assessment of Trifecta in 500 Robotic and Laparoscopic Partial Nephrectomy Cases: A Single Surgeon Experience. The Journal of Urology. 2013;189(4):1236-1242. doi:10.1016/j.juro.2012.10.021. Kim J, Park Y, Kim Y et al. Perioperative and long-term renal functional outcomes of robotic versus laparoscopic partial nephrectomy: a multicenter matched-pair comparison. World J Urol. 2015;33(10):1579-1584. doi:10.1007/s00345-015-1488-5. Zhang, X., et al. (2014). Robot-assisted versus laparoscopic partial nephrectomy for localized renal tumors: a meta-analysis. International Journal of Clinical and Experimental Medicine. 7: 4770-4779. Hadjipavlou, M., F. Khan, S. Fowler, A. Joyce, F. X. Keeley and S. Sriprasad (2016). "Partial vs radical nephrectomy for T1 renal tumours: an analysis from the British Association of Urological Surgeons Nephrectomy Audit." BJU Int 117(1): 62-71. Wu, Z., et al. (2014). Robotic versus Open Partial Nephrectomy: A Systematic Review and Meta-Analysis. PLoS ONE. 9: e94878. Froghi, S., et al. (2013). Evaluation of robotic and laparoscopic partial nephrectomy for small renal tumours (T1a). BJU International. 112: E322-333. Leow, J. J., N. H. Heah, S. L. Chang, Y. L. Chong and K. S. Png (2016). "Outcomes of Robotic versus Laparoscopic Partial Nephrectomy: an Updated Meta-Analysis of 4,919 Patients. "J Urol. Choi, J. E., et al. (2015). Comparison of perioperative outcomes between robotic and laparoscopic partial nephrectomy: a systematic review and meta-analysis. European Urology. 67: 891-901. Kates, M., M. W. Ball, H. D. Patel, M. A. Gorin, P. M. Pierorazio and M. E. Allaf (2015). "The financial impact of robotic technology for partial and radical nephrectomy. "J Endourol 29(3): 317-322. Lee S, Oh J, Hong S, Lee S, Byun S. Open Versus Robot-Assisted Partial Nephrectomy: Effect on Clinical Outcome. Journal of Endourology. 2011;25(7):1181-1185. doi:10.1089/end.2010.0670. Han K, Song G, You D et al. Comparison of Hand-Assisted Laparoscopic Versus Robot-Assisted Laparoscopic Versus Open Partial Nephrectomy in Patients with T1 Renal Masses. Journal of Endourology. 2014:150127063131006. doi:10.1089/end.2014.0517. Zargar H, Allaf M, Bhayani S et al. Trifecta and optimal perioperative outcomes of robotic and laparoscopic partial nephrectomy in surgical treatment of small renal masses: a multi-institutional study. BJU International. 2015;116(3):407-414. doi:10.1111/bju.12933. Mir, S. A., et al. (2011). Cost comparison of robotic, laparoscopic, and open partial nephrectomy. Journal of Endourology. 25: 447-453.